The Stephen Harper’s government lack of social responsibility on environmental matters has once again surfaced through an immediate public health threat. 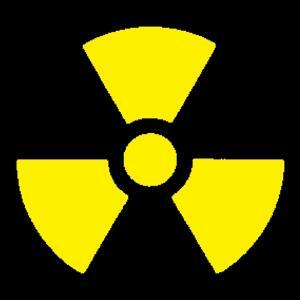 A radioactive spill has occurred at the aging Chalk River nuclear reactor west of the nation’s capital after the facility was recently cranked up to double its normal output of medical isotopes, used in diagnosing and treating cancer, Sun Media has learned. The Conservative Party handling of this public health threat is grounds in itself to out them through a non-confidence motion.. The reactor is supplying up to 70% of the world’s medical isotopes, and a shutdown could leave millions of cancer and heart patients in Canada and around the globe without critical treatments. But the radioactive spill and another ongoing leak at the reactor are bound to spark renewed controversy over the safety of the nuclear facility built in 1958. An internal report to federal nuclear regulators shows radioactive tritium was released into the air during the incident at the Chalk River reactor on Dec. 5. Atomic Energy of Canada officials running the 51-year-old apparently defective reactor reported they managed to contain another 800 litres of contaminated water now being stored in special drums. The report alleges there was no threat to the health of workers at the reactor, and officials say the tritium released into the air posed no significant danger to the surrounding environment. Nonetheless, after a brief shutdown, the reactor has continued to operate at full power, even though Chalk River officials admit they don’t know what caused the leak, and say it could happen again. Documents indicate officials at Atomic Energy took four days to report the spill to the Canadian Nuclear Safety Commission. Even then, the spill proved to be five times larger than what the officials initially reported. They didn’t go out of their way to inform the public, either. Meanwhile, another part of the reactor has sprung a water leak from a 2.4-inch crack in a weld. That leak has not been repaired since it was first reported more than six weeks ago. Instead, technicians are simply pumping water into the unit to replace the estimated 7,000 litres a day spewing from the cracked seam. In answer to written questions from Sun Media, the Canadian Nuclear Safety Commission said the leaking water from the failed weld has “a very low level of radioactivity” and is not a safety concern. The water is being dumped into the Ottawa River. AECL has consistently tried to overlook and play down the long-term financial liabilities for cleaning up and decommissioning Chalk River Laboratories, defying the Auditor General for eight years running on the questions of adherence to Generally Accepted Accounting Principles for its future liabilities. AECL has proposed cleaning up Chalk River Laboratories over the next 300 years, estimating the cost of such a clean up at $ 2.6 billion. Because AECL is dependent on public subsidies for its survival, it should be the public and not AECL who decide what comes first – AECL’s commercial activities or environmental protection. Isn’t it about time to clean up Chalk River nuclear fiasco, along with apparent political economy of government corruption?